Last week, Grace and I had friends come for a visit. I knew my friend Merry has been cutting out the junk food as much as possible and really watching what she eats. With so many people with food intolerance or allergies and others following different diets, I tend to panic when it comes time to host guests that keep away from certain foods. This time, instead of panicking, I decided that I'd just put out some fruit and veggies for us to nibble on rather than preparing a full meal. I filled one bowl with strawberries, grapes and pineapple chunks. The other bowl had cucumber slices, celery sticks and baby carrots. I opened a tub of Roasted Red Pepper Hummus for the veggies and whipped up a batch of Chocolate Hummus for the fruit. 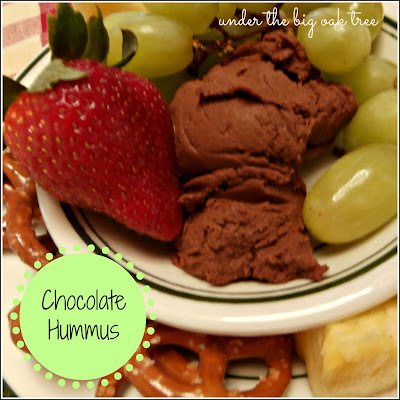 I also set out a bowl of mini pretzels to dip in the Chocolate Hummus! mmm! So good! I have forgotten how much I enjoy snacking on sweet fruits and crunchy veggies throughout the day. These days I tend to snack on a lot of junk food. Something that I really need change. Soon, the farmers' markets in our area will be opening. 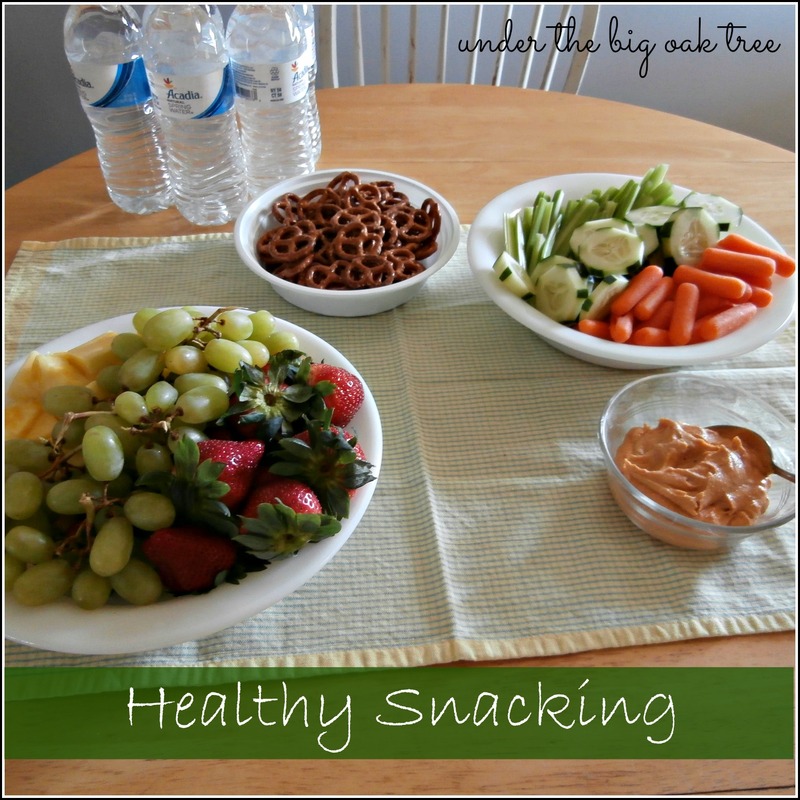 I'm looking forward to picking up some super-fresh produce to snack on each week!